It’s indexed by Google – The goal of any marketing campaign is to help customers find your business faster and easier on the web. When you create Google+ presence, the fact that Google+ is indexed by Google will make it easier for customers to find you and will help your business’ visibility on the internet, as well. Google+ offers a cleaner experience – Have you ever logged on to a new social media site and been overwhelmed by its features? Google+ eliminates this problem and allows businesses to utilize and navigate through the site easily. Google+ makes it easy for others to share, rank, and read through comments; share videos, posts and photos; and allow users to customize their connections into circles. People use it, and it’s growing – When your business decides to create Google+ presence, you won’t be sharing information with a vast, deserted online site that nobody ever visits. The majority of Google+ users state that they log onto their account on a daily basis. In addition to this, this social media site is already large and is continually growing. With all of these benefits, it’s likely that you won’t regret having your marketing company focus their social media efforts on creating presence on Google+. 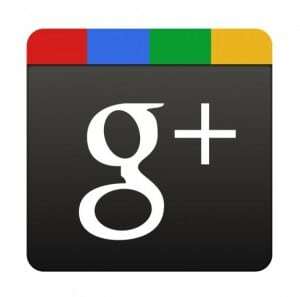 Do you want to create Google+ presence in Collingwood ON? Contact us at WordJack Media! Our services are designed to meet your advertising goals and are delivered each month as part of an affordable, hassle-free package. Give us a call today.